Earlier I’ve claimed that this off shoulder top was totally off season. well, it turnes out I was totally off. Paired with the right garments and a little bit of fancy accessorise, you’ll have yourself an elegant and feminine outfit for one of the christmas’ many festivities. And it’s really easy to make too! Download the pattern here, and keep reeding for the tutorial. 1 – Prepare your fabric according to the fabric care instructions – meaning wash, iron and stretch the material – before you cut it. 2 – Cut the fabric (download free pattern here). Make sure the finished edge of the fabric is placed on the bottom edge of the sleeves and bodice without any seam allowance. Make the markings on the wrong side of the fabric. 3 – Serge the raw edges on the side seams and top edge of both the sleeves and the bodice. 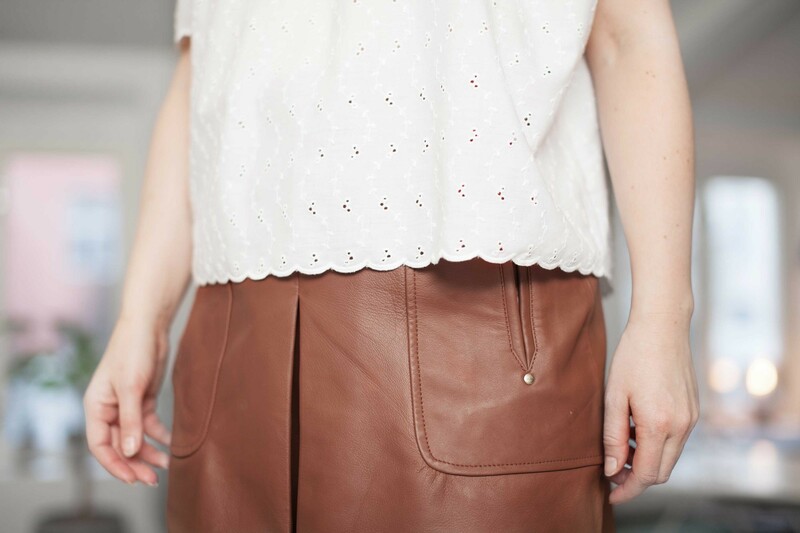 4 – Pin the sleeve cap (sleeve) to the armcye of the bodice with right sides together and stitch. Repeat for both front and back of both the front and the back bodice (they are cut from the same patters). 5 — Cut small nothces in the armcye to prevent bulk, and press the seam allowance appart and then towards the sleeve. 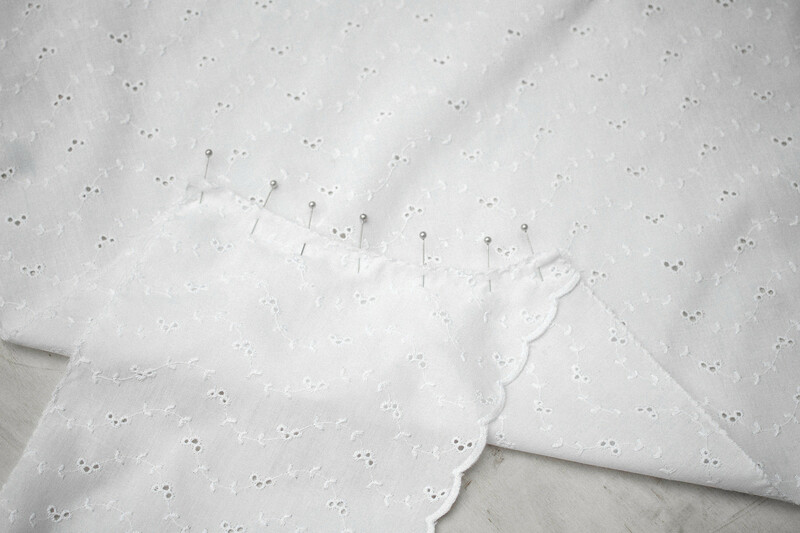 6 – Pin the side seams together ans stitch. Press seam allowance apart. 7 – Use a measuring tape to measure the circumference of your shoulder, about 5-6 cm below your shoulder bone. Subtract 5 cm from this measurement (depending how tight you want the elastic to be around your shoulders). This number will be the length of your elastic. 8 – Stitch the two ends of the elastic together to make a loop. Use a 1 cm seam allowance. 9 – Fold the elastic in two and place a pin on the fold and have the stitch line on the other fold. Fold again so you have four equal parts of elastic. Mark with pins. 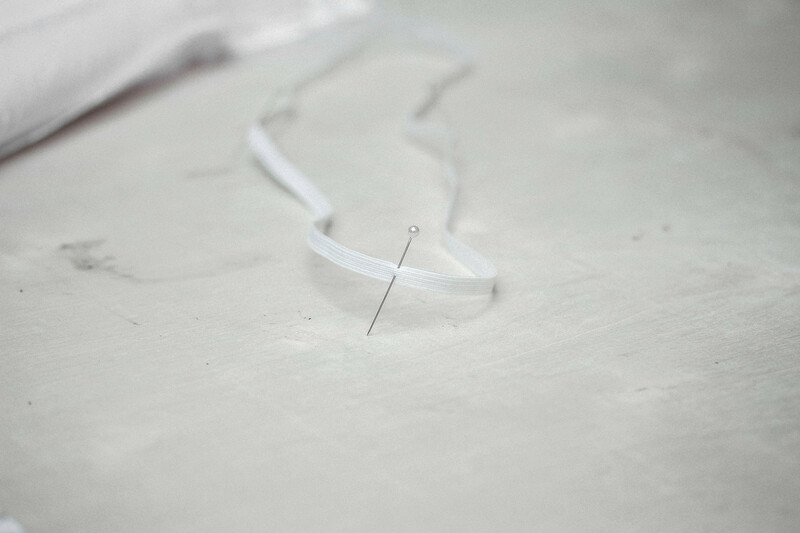 10 – Pin the elastic to the top edge of the garment so that the first pin on the elastic aligns with the center front, the second with the center of the sleeve (top edge), the third on the center back, and the forth on the center of the other sleeve. 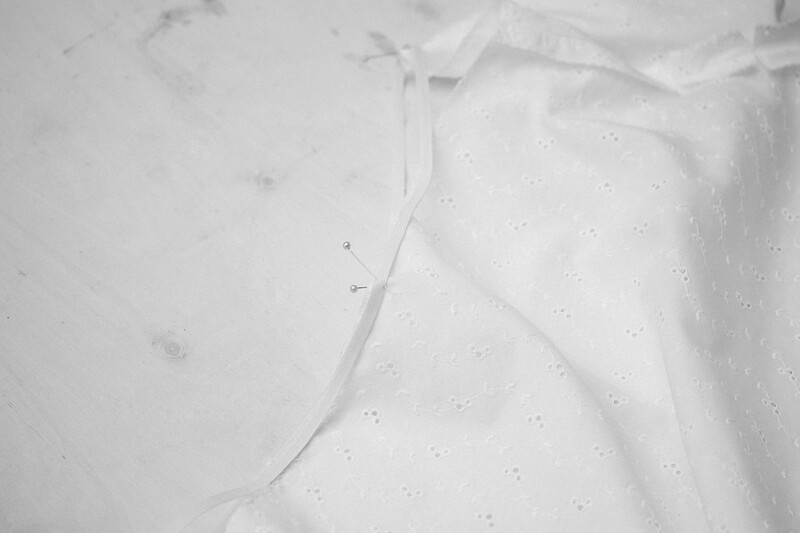 Pull the elastic and pin the rest of the top to the elastic, making sure the fabric spreads evenly. Stitch using zig-zag. 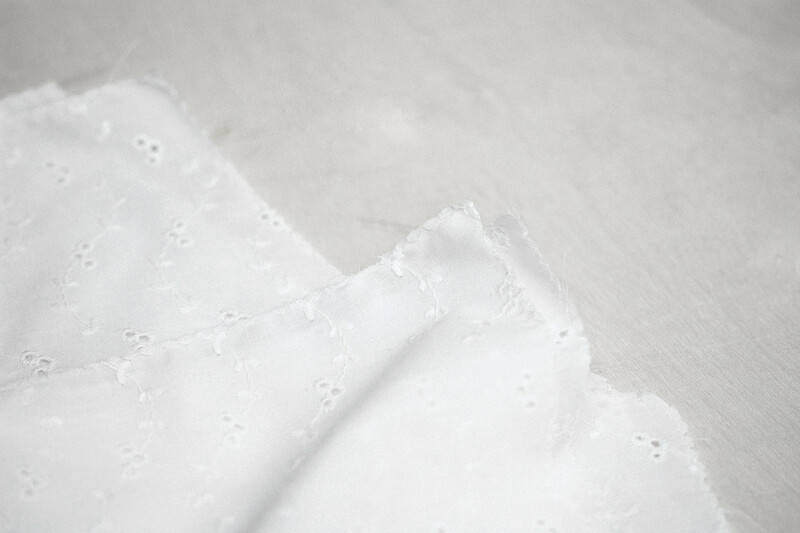 11 – Fold the top edge of the garment inwards over the elastic, 1 cm. Baste with 0,3 cm seam allowance without sewing the elastic. 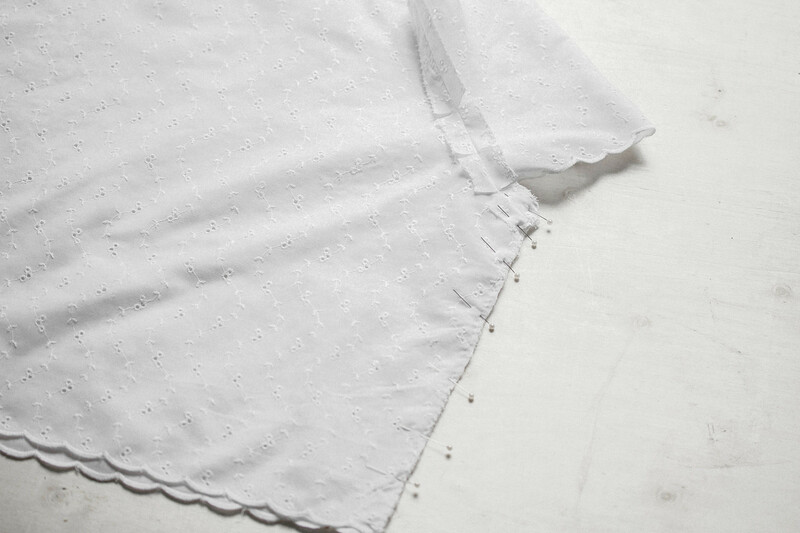 Fold again with 1 cm and stitch 0,3 cm from the fold, and your top is finished! Easy, right?